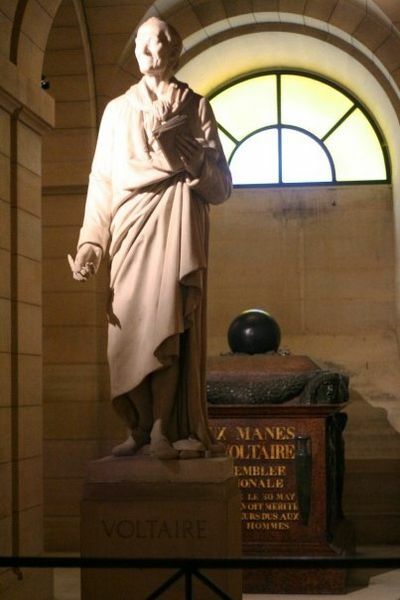 The French writer and philosopher Voltaire (1694-1778) is known as an enlightener, and many who consider him an enlightener assume he was an atheist, that he didn't believe in God. But this cannot be observed in actuality. "Poet, philosopher, and historian; he elevated the human mind, and taught men they should be free. He defended Colas, Sirven, De-La-Barre, and Montbailly. He combated the atheists and fanatics, and inculcated tolerance; he was the champion of the rights of man against feudal servitude." 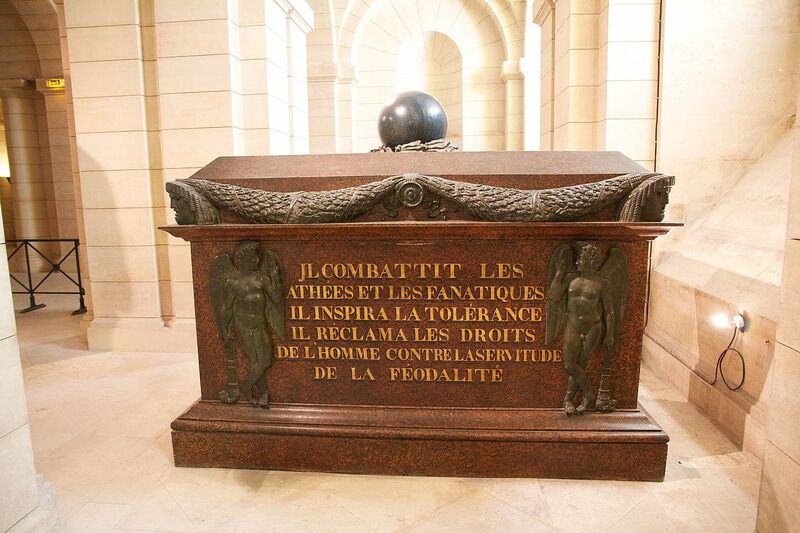 In this inscription we see the teaching and work of Voltaire, who says that he combated against atheism and fanaticism, was on behalf of respect for human rights, and was in opposition to feudalism. This does not make a striking impression, because Voltaire, like most of the enlighteners, was not an atheist, but a deist. Deism or theism accepts the existence of a supreme being who does not intervene in human affairs. Newton's laws of gravity led him towards a wonder of the cosmos, so that he came to believe in the existence of a supreme intelligence, God as creator of the cosmos. Indeed, he said, "If there were no God, we would have had to invent one." However, the God of Voltaire was not the God of the Jewish or Christian tradition, but "an inaccessible and unclear entity," who is beyond the human intellect. Thus, Voltaire, like most enlighteners, was not an atheist, since he believed in a creator of the cosmos, but he was an antichrist, that is, he was against Christ as creator who also regenerated man and the cosmos, and who personally governs the cosmos. This view of his is not unrelated to western Christianity, which he encountered in the western world, especially through scholasticism which is associated with feudalism, the undermining of human freedom and human rights, as well as the appearance of fanaticism. Voltaire was not only against the metaphysical Christianity he encountered in his life, but he combated against the power of the state, which was inspired by the views of Catholicism, which is why he spoke in favor of human free will. We in the Orthodox Church do not believe in an abstract God, in an invisible being, but in Christ God, who became man, loved humanity, lived among us, and conquered death which was the greatest enemy of humanity. Therefore, we believe in a liberating God. This is why we are against every form of atheism and every religion that professes a God of hate, fanaticism and feudalism. Source: Ekklesiastiki Paremvasi, "Βολταῖρος καί ἀθεΐα". January 2016. Translated by John Sanidopoulos.